I am sure I was listening to Triple M when they annouced that! Now there's a happy Chappie. 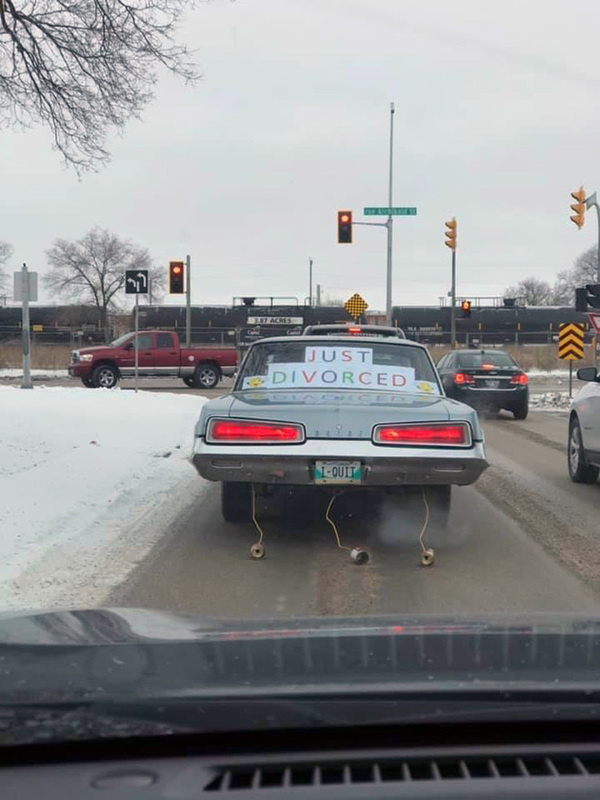 I bet that the car is one he put hundred of hours into restoring, and he's managed to keep her hands off it in the settlement. You're all assuming it's the bloke in the car. "You're all assuming it's the bloke in the car"
Don't knock the above extending plug picture.! I had a new cooker installed, AND that plug went to a extension cord to reach the nearest socket. Not bad for a $70 ripoff. My Grandson, Now he is LICENSED. put in a nice lead from the cooker, then made the single socket a double with a switch for the ceiling fan. Only lived with that setup for 35 years. Also wanted a "split-system AC" installed. quoted $1,000 without the electrical connection for that job. I bought an "in wall unit" instead, the split-system went to the tip. Also wanted a "Water-Hammer arrester" in the water supply, cold water washing. the Plumber insisted I have a pressure reducer in the HOT water intake, which keeps letting streams of water out, then I turn-off water to reset that junk thing & still have "water-hammer"
Space, I have a number of extension cords and power boards, but they are not plastered into the wall.